Apple added fast charging capabilities to iPhones in 2017 with the iPhone 8. But it continues to ship the ridiculously slow 5W charger with even its most expensive iPhones. That’s a shame. If users wanted to take advantage of fast charging, they would have to buy a separate power brick and a USB-C to Lightning cable. If you were hoping that this year’s iPhone 11 charger would be any different, you are going to be disappointed. A large number of Apple fans were hoping that the company would switch from Lightning to USB-C this year. Recently, Bloomberg contributor Mark Gurman reported that Apple was testing versions of iPhone 11 with a USB-C port. But a new report from Japanese blog MacOtakara says the iPhone 11 will ship with the same old 5W charger and the USB-A to Lightning cable in the box. MacOtakara has a reliable track record when it comes to Apple leaks. It is well-connected within Apple’s Asian supply chain. It accurately predicted that the 2018 iPad Pro models would drop the Lightning connector in favor of the USB-C port. Most other smartphone vendors have already moved to USB-C and Apple uses it on the Macs. Sources told MacOtakara that Apple was sticking to the 5W iPhone 11 charger and Lightning port to keep the costs down. But given the tech giant’s obsession with profit margins, it’s unlikely to pass on the savings to consumers. It means customers will first have to buy an expensive iPhone and then buy accessories such as the 12W iPad charger if they want to enjoy fast charging. Apple will of course benefit from the sales of accessories. The publication added that Apple would bundle the Lightning EarPods, 5W USB power adapter, and the USB-A to Lighting cable with the iPhone 11 models. The existing 5W charger has become a big annoyance for consumers as iPhone batteries have become larger than before. According to 9to5Mac, many users believe it’s a hardware defect that their newer iPhones take longer than before to charge to 100%. It’s not that their iPhones are charging slowly because of a hardware defect. It’s because the 5W charger that used to charge smaller batteries of older iPhones is now charging the 3174mAh battery of the iPhone XS Max. It’s obviously going to take longer. The only way to charge it faster is to get a fast charger, which Apple doesn’t ship with its devices. If Apple switched to the USB-C port and fast charging with the iPhone 11, it risks losing the additional revenue it generates from accessories. The company switched to 18W USB-C charging with last year’s iPad Pro probably because it was marketing the new iPads as a laptop replacement. The iPad Pros run a mobile OS, lack the mouse support, and can’t do many things that a traditional laptop can. So, Apple had to give at least a few reasons to make buyers believe that it’s a laptop replacement. The USB-C support was one of them. Almost all of Apple’s rivals ship their flagship smartphones with fast charging power adapters in the box, even though their devices cost far less than iPhones. Amid slowing iPhone sales, Apple would want to generate maximum profit on each unit of iPhone sold. So, don’t expect the iPhone 11 charger to offer fast charging. 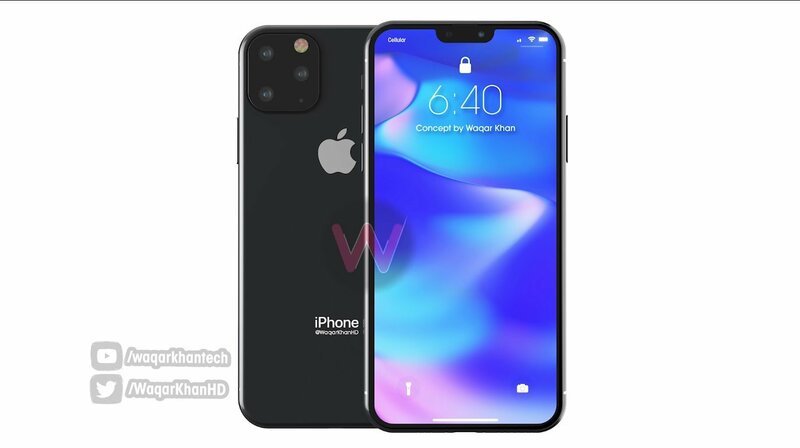 Meanwhile, CompareRaja and OnLeaks have revealed that this year’s iPhones would come with a 10-megapixel front-facing camera. CompareRaja also confirmed that the new iPhones would retain the Lightning port. The device would have a centrally-aligned triple camera system on the back. The rear camera setup is said to consist of two 14MP lenses and a 10MP lens. CompareRaja added that the iPhone 11 would bring internal design changes to make room for the new rear camera location. Bloomberg contributor Mark Gurman also said a couple of weeks ago that the iPhone 11 Max would sport a triple camera system on the back. The other two models would feature dual rear cameras. The third lens on the larger iPhone 11 would be an ultra-wide angle one to expand the zoom range of the device. With the iPhone 11, the tech giant would double the length of Live Photos from three to six seconds. Apple is said to introduce a more innovative 3D Time-of-Flight lens with the 2020 iPhones. The 2019 iPhones would run iOS 13 out of the box. According to recent reports, the iOS 13 would bring a system-wide Dark Mode for easier nighttime viewing. It would be similar to the Dark Mode on macOS Mojave. The new software would also bring many iPad-specific improvements such as a new home screen, a revamped Files app, and the ability to tab through different pages of the same app like pages in a web browser. The upcoming iPhones would run a more powerful A13 chipset and offer a faster and more secure Face ID technology. People hoping for a 5G iPhone this year are going to be disappointed because the first 5G iPhones won’t arrive until 2020 at the earliest.